Flow equalization is not a treatment process but a technique that improves the effectiveness of secondary and advanced wastewater treatment processes. Flow equalization levels out operation parameters such as flow, pollutant levels, and temperature over a time frame (normally 24 hr), minimizing the downstream effects of these parameters. Environmental engineers determine the need for flow equalization primarily based on the potential effects of the waste stream on the receiving waters or treatment facility. In defining the need for flow equalization, environmental engineers need sufficient background information on these factors as well as information on the relative cost of constructing and implementing effective flow equalization facilities and the cost savings by reducing the effects on downstream equipment. 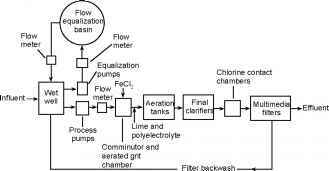 This section provides information on flow equalization processes used to pretreat industrial waste streams, considers the effects of each process, and provides basic design criteria for each. Near the head end of treatment work. Flow equalization usually involves constructing large basins to collect and store wastewater flow, from which wastewater is pumped to the treatment plant at a constant rate. These basins are normally located near the head end of the treatment work, preferably downstream of pretreat-ment facilities such as bar screens, comminutors, and grit chambers. Prior to discharge. Wastewater flows have a diurnal variation from less than As to more than 200% of the average flowrate. In addition, daily volumes increase from inflows and infiltration into the sewer collection system during wet weather. Municipal waste strength also has a diurnal variation resulting from nonuniform discharges of domestic and industrial waste. Industrial waste entering a municipal system can cause excessive flows and peak organic loads. Therefore, facilities should be installed at industrial sites for flow smoothing prior to discharge. Prior to advanced waste treatment operations. 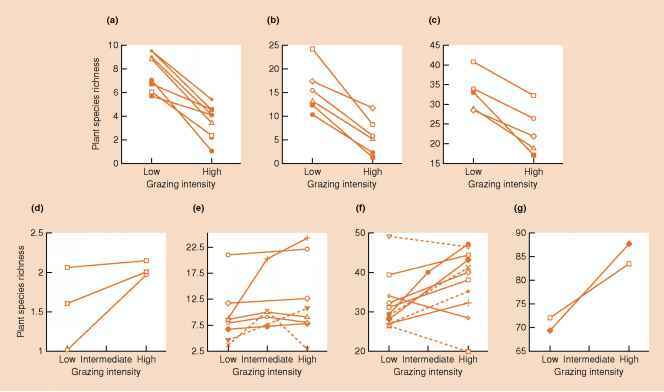 Many advanced operations, such as filtration and chemical clarification, are adversely affected by flow variation and sudden changes in solid loading. Maintaining a uniform influent improves chemical feed control and process reliability. The costs saved by installing smaller units for chemical precipitation and filtration, together with reduced operating expenses, can compensate for the added costs of flow equalization facilities. (mgd) design flow. The process pumps transfer a constant preset flow from the wet well for treatment, and variable-speed pumps deliver excess flow to the equalization basin. During periods of low influent flow, wastewater is released from the basin to the wet well to maintain the established flow through the plant. As in-line units. Equalization chambers can also be in-line units that pass all wastewater through the basins. Although the normal placement is between grit removal and primary settling, holding tanks can be placed at other points in the treatment. For example, a basin serving as a pump suction pit can be located just ahead of the filters to dampen hydraulic surges without providing complete flow equalization.